Handwritten notes means your solicitation actually gets opened by the recipient! Handwritten notes are brilliant marketing. What if you wrote one thank you note a week to each customer or vendor? Handwritten says you went out of your way. Handwritten says you have good manners, handwritten says it really mattered to you. Handwritten notes means your solicitation actually gets opened by the recipient! What Kind of Handwriting Works? A few successful campaign tips, are handwritten notes, hand addressed envelopes, post-its on the envelope, and real signatures on letters. 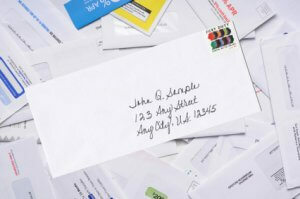 Handwritten Notes – The first piece of mail someone is likely to open in a stack of mail is a handwritten note. Because they are so scarce, handwritten notes are perceived as more valuable. If you craft direct mail marketing campaigns around handwritten notes, you will stand out. One drawback is the manpower required to have this kind of campaign, but the increased response rate might be worth the cost. A couple less expensive options that also have seen results are to simply add a few handwritten words onto a typed letter or to hand address each envelope, taking care to use the recipient’s name. 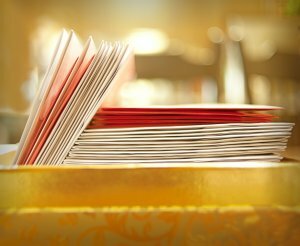 Hand Addressed Envelopes – If you want the recipient to even open your letter, hand addressing the envelope is the best way to ensure your message gets opened. Real Signatures – Simple but effective, the handwritten signature is still powerful. For the sake of easy mailings, many companies keep signatures on file to paste at the end of a mailing. However, most people can easily tell the difference between a handwritten signature and a stamped signature. Most people like the idea that someone has taken the time to hand sign a letter before sending it. Even if the person whose signature should appear at the end of the letter is unavailable, employing someone to sign for them works just as well. Personalization may be the tool your marketing campaign needs to truly soar and stand out above the rest. Employ these methods of personalizing your mailings and expect to see a sharp rise in responses. Contact us for a price quote.